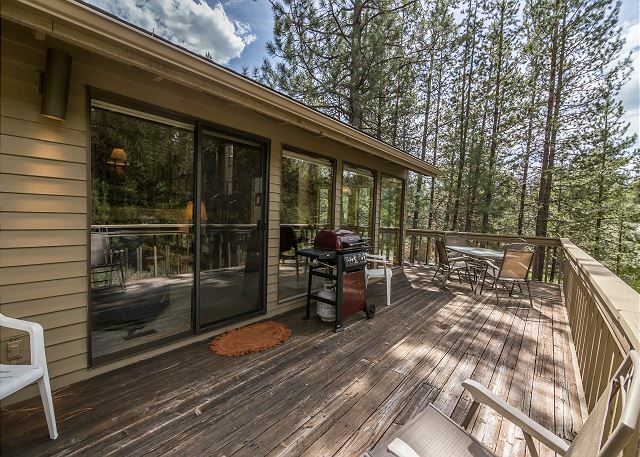 The deck outside the living area is designed for outdoor meals, as there is a gas BBQ and patio set. 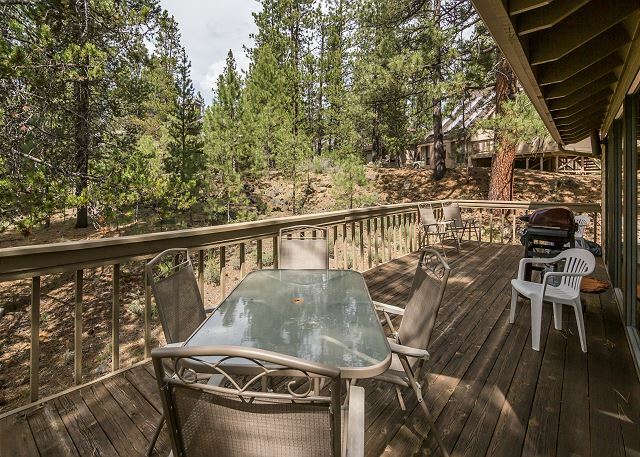 The deck overlooks a vacant lot where deer are frequent visitors. 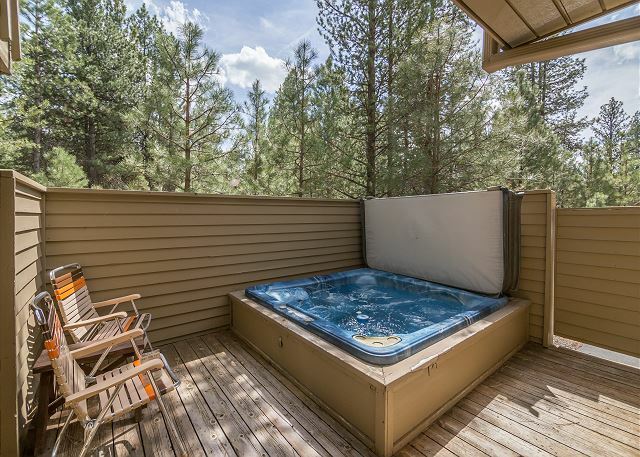 The back enclosed deck has a BRAND NEW hot tub as of January, 2019! 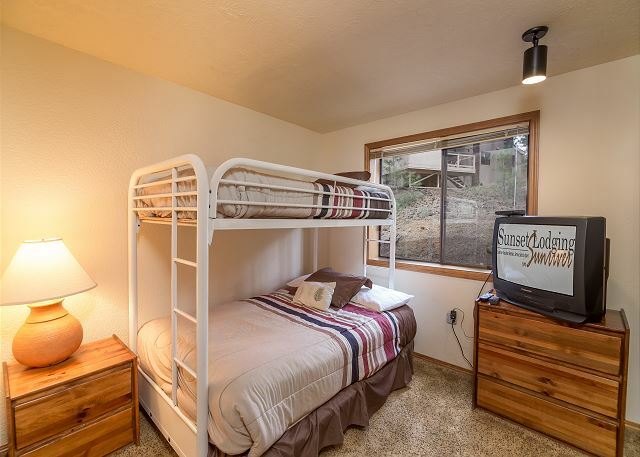 Downstairs are two bedrooms (one with double futon and upper bunk, one with queen-size bed). The kitchen, dinning, and family room overlook the main living area. 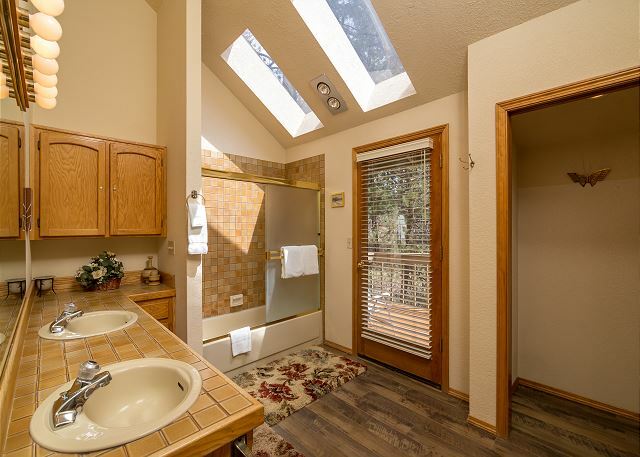 Also on this floor is the master suite with a huge master bathroom and king-size bed. 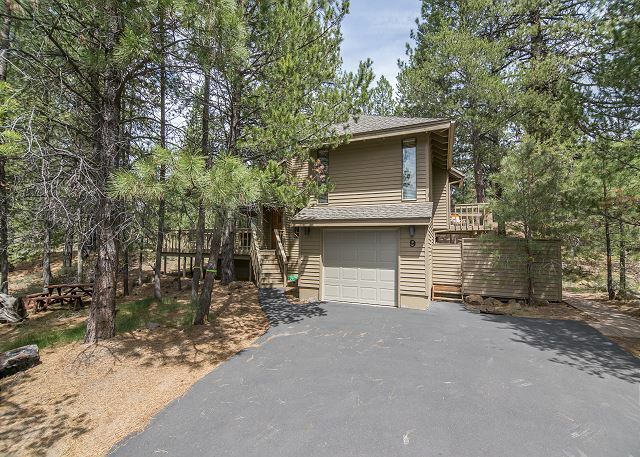 There is a one-car garage and hot tub, perfect for stargazing. 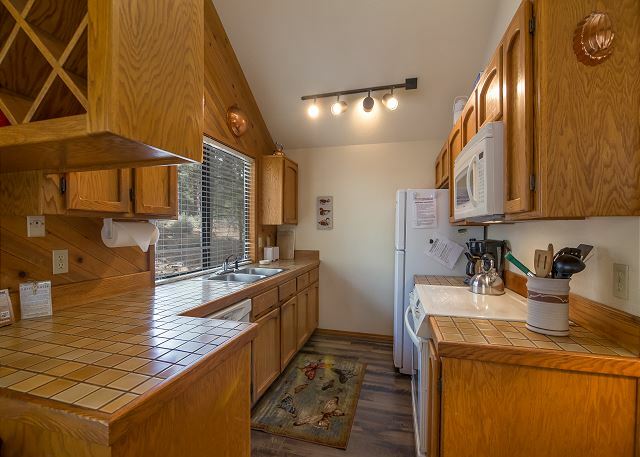 The Village is just the right distance away, about a 20 minute walk on nearby trails. The home was clean with a well stocked kitchen. Beds were comfy. Hot tub was nice too! A little bit of a walk to the village but super close to sharc. Included passes which was a huge savings. Thank You for the 5 star review, Karen! So glad you enjoyed the home and your stay! Come back soon! GREAT LOCATION, PROPERTY COULD USE SOME UPGRADES BUT OVERALL AN ADEQUATE PROPERTY. Thank You for your Review, Dave! 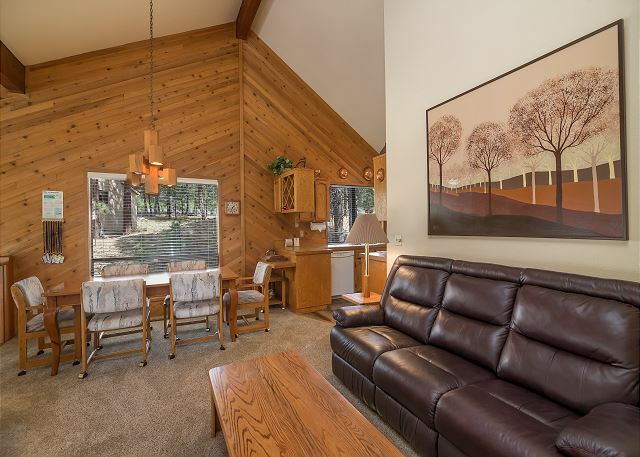 Glad to hear that you loved the location and we hope to see you again in Sunriver! We had a great week at this house. It had everything we needed and more. Only downfall is no AC. But we lucked out with weather only in the 70s so it wasn't too bad. Lots of room for everyone to be together or apart. Great deck and we saw deer everyday walking through. Loved that it had the Sharc passes which saved our family of 6 a lot of money. Would definitely stay here again. The Sharc is right across the main road and The Village right now the street. Great Location! Thank You for the 5 star review, Jill! It sounds like you and your group had a wonderful time at Red Fir 9! The wildlife viewing from the deck and the proximity to Sharc make Red Fir 9 truly unique and we are so happy to hear that you like it as much as we do! We loved our stay in Red Fir 9. 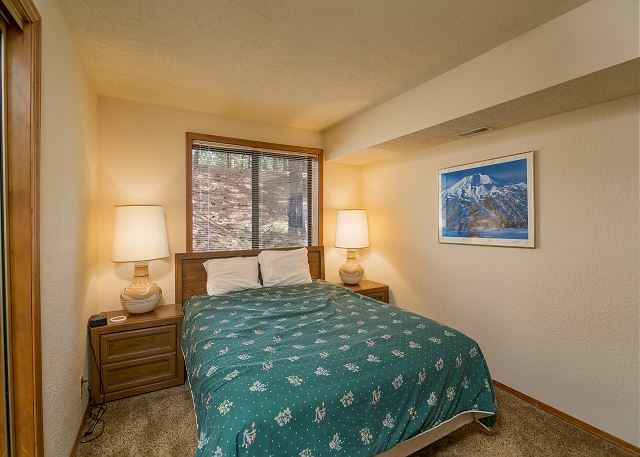 It had plenty of space for our family of four, was well maintained,and very comfortable. 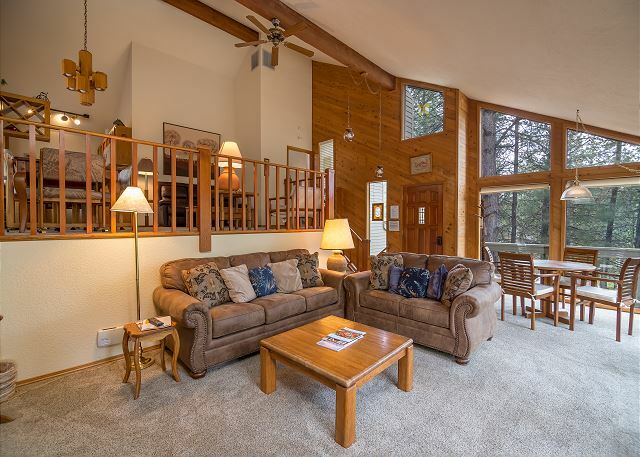 During our stay, we decided it was our favorite place to stay in Sunriver and we will be returning in the future. Thank You for your wonderful review Jerry! We are so glad to hear that you enjoyed staying with us at Red Fir #9 and have a new favorite! We hope to see you soon! Nice house. Great location. Deck needs upgraded. Thank you for your review Jack & Tracy, we appreciate your feedback and will have our maintenance department check on the deck work, as well as let the owner know. We are glad you enjoyed the home and can't wait to see you again! This house was great for us.. walking distance to the Mall, empty lots on both sides (Very private) so deer walked by the windows 2x day. The size worked for us. Kitchen was small but managageble. Hi Alice, Thanks for the review. Sunriver is known for it's abundance of Wild life and we are so glad that you were able to see some. Red Fir #9 had a great location too! Hope you are able to come visit again soon! So much more than you expect. Beautifully located. A lot of room. Deer right outside. My family and I had so much fun. Would recommend this rental to everyone. Hot tub was a big plus! Will rent this home again. Nice, cozy home perfect for 2 families with kids. Walking distance to SHARC and included passes. Lots of wood for the fireplace and enjoyed the hot tub. Would recommend this as a nice home to stay at. This three bedroom home worked well for our family of three adult couples and teenage son for a 6 night stay. It was well equipped, and comfortable. 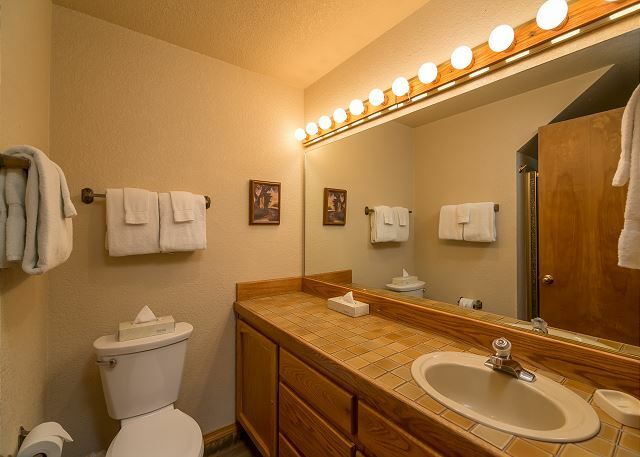 The furnishings and fixtures are older, (carpet in the large master bath) but that was okay with us. We enjoyed the spacious yard as there are no neighbors directly on either side. 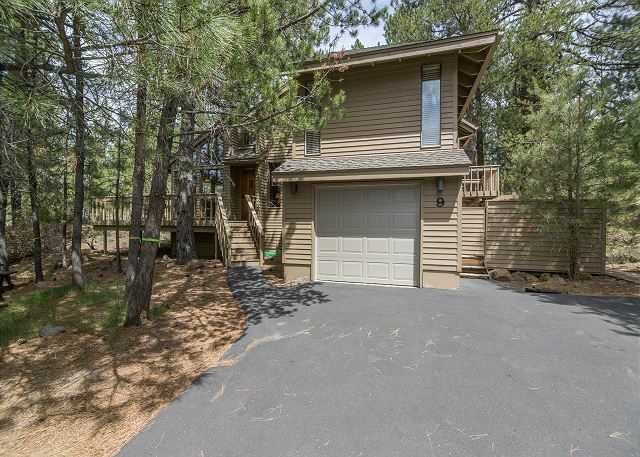 (one neighbor diagonally behind the house) The home has three levels with two bedrooms on the bottom level and a master on the top level near the kitchen and small living area. 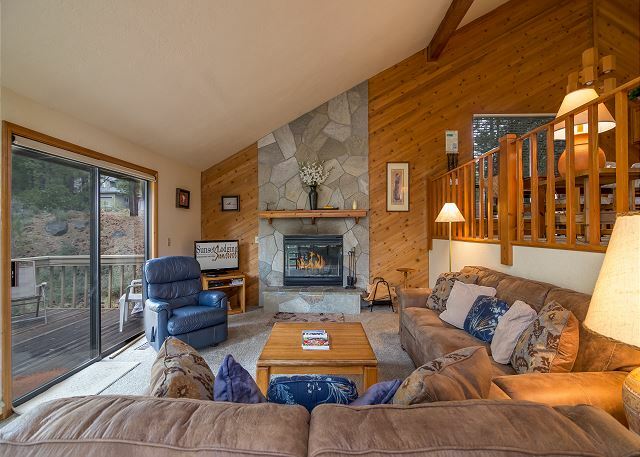 A main living area and deck are a few steps down. The train is VERY close but did not disturb our sleep. The hot tub was on a timer that we tried but could not figure out. We still used it and could have called maintenance if we really wanted to fix the problem. 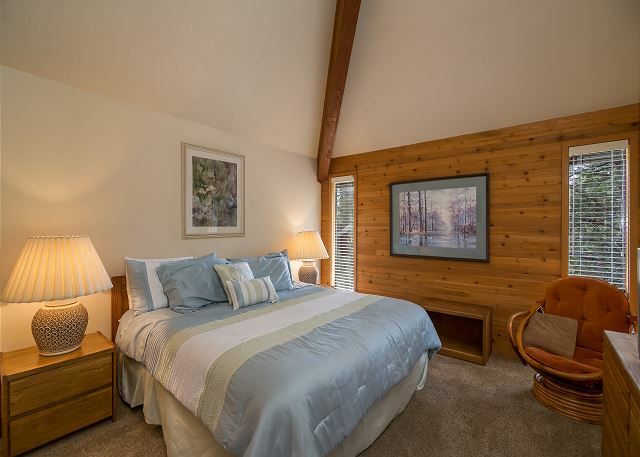 The best feature of Red Fir #9 is the location; up on a hill, away from the main road, yet an easy 5 minute walk to the Sharc swim center, and a 15 minute walk to the Village. We chose to cook dinner each night and the kitchen had all of the necessary supplies. 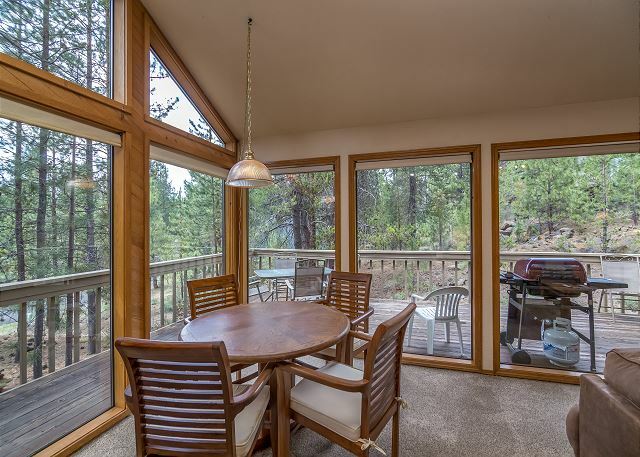 We also used the home as a base for exploring Bend and water activities on the Deschutes River, such as tubing and SUP, stand up paddle boarding. We visited the Besson day use area near Sunriver for a quiet day away from the crowds. Sunset Lodging made the check-in and out process easy. I would recommend this home as a casual family getaway! So glad to hear that you had a great time, Susan! Thanks so much for this valuable feedback, we hope you'll get back to Sunriver soon! Had a great time here with plenty of room for 4 adults and a dog.